On May 9, 2004 – Mother’s Day in the U.S. – an Icon of St. Anna, the Mother of the Holy Virgin Mary, located in the Russian Orthodox Church of Our Lady of Joy of All Who Sorrow in Philadelphia began to stream myrrh. On that Sunday one of the parishioners mentioned to the parish rector, Archimandrite Athanasy that the Icon of St. Anna seemed to be “perspiring”. Upon further investigation, Fr. Athanasy notice visible liquid streams and droplets. Accumulations of the liquid were seen on the cuff on St. Anna’s left hand and on her left shoulder veil. Droplets were also found elsewhere on the Icon. This fragrant, slightly oily liquid is commonly referred to as “myrrh”. 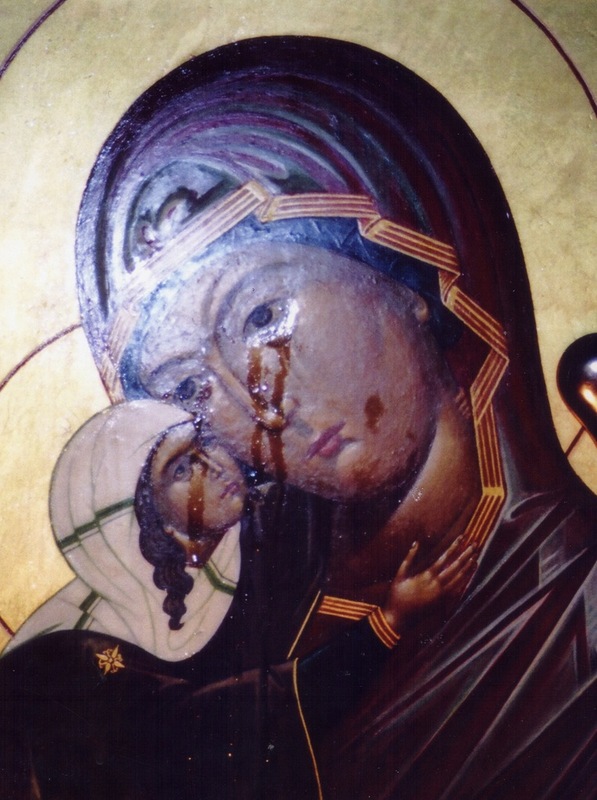 Initially the myrrh looked like tear drops, as if St. Anna was crying. More recently small, slow-moving streams of myrrh have appeared in other parts of the Icon. 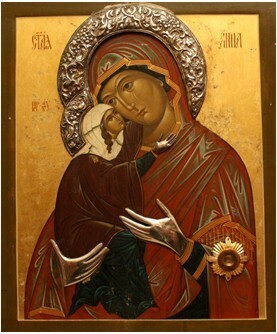 The Icon of St. Anna had been commissioned by Fr. Athanasy in 1998, in the Mount of Olives Convent in Jerusalem. He himself had served there in 1980-1981. In 1998, the Icon was completed, blessed at the Sepulcher of our Lord in the Jerusalem Church of the Resurrection, and brought to Philadelphia. 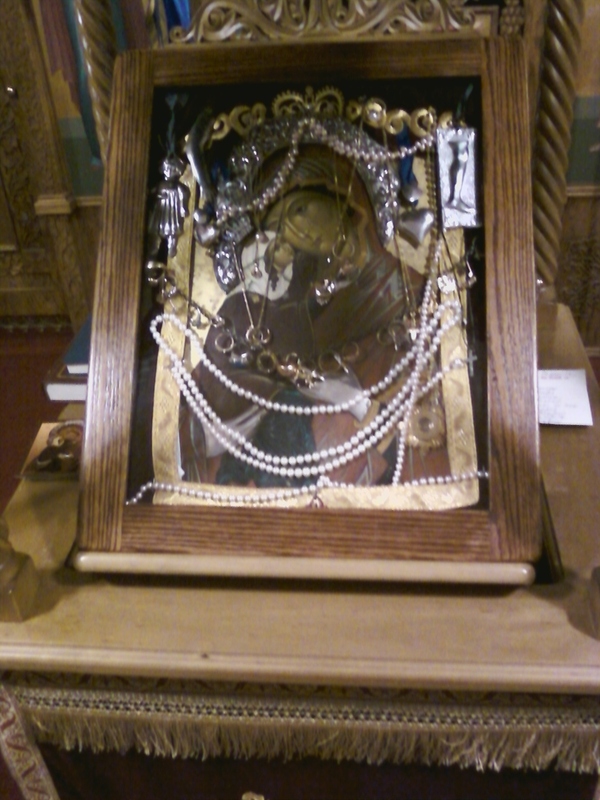 As of Fall 2012, the Icon resides at St. Tikhon's Monastery and has a wonderful heavenly fragrace but is not currently weeping. Assistance and healings are still wrought by the miraculous Icon of St. Anna and She continues to work wonders for those who approach with faith. For more information about parish visitations or for prayer requests, please email us. For greetings St. Anna at your parish, here is the standard protocol in Word and PDF format.